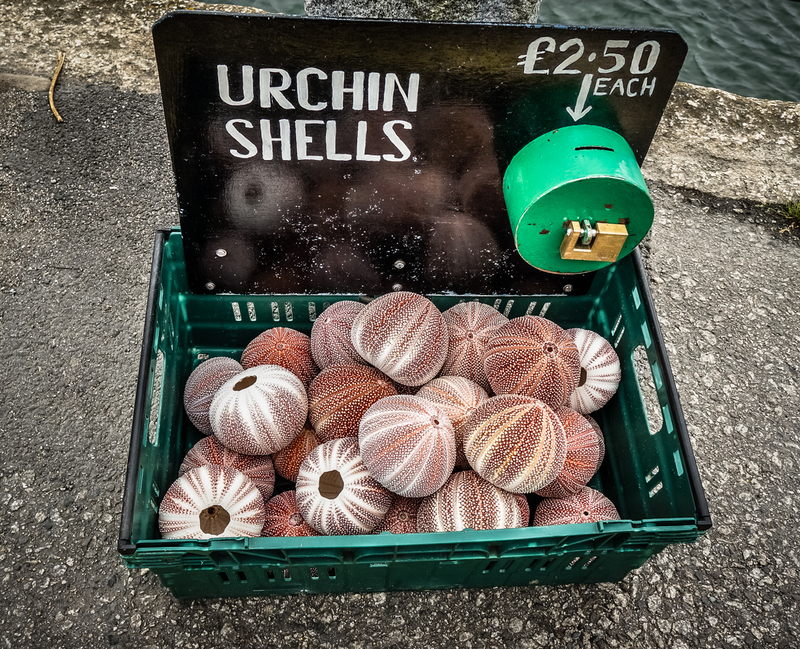 Urchin Shells, The Quay, St Mawes, Cornwall, 2012 • A colourful Cornish honesty box. I remember cleaning sea urchins out with bleach when I was a kid. Aaaah, the sweet tang of chemicals and seaweed. Quite tasty in sushi, too!